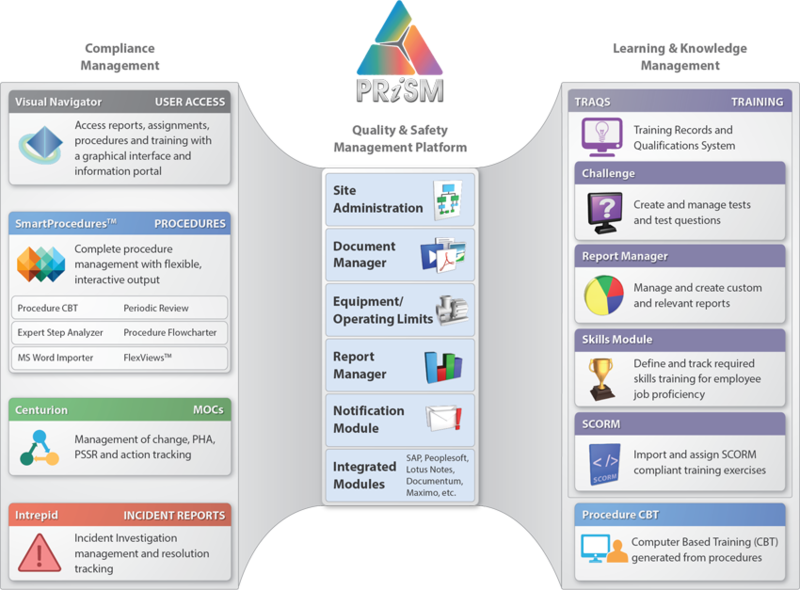 ATR's PRiSM Suite is a powerful integrated system including Procedure, Change Management, Incident Investigation, MSDS and a learning management application. One system, enormous power for your compliance, performance and knowledge management needs. Built on a .NET browser-based architecture, PRiSM provides streamlined integration and common services. Shared services lets you re-use documents and other structured data between applications, so that you're not constantly logging into different applications. 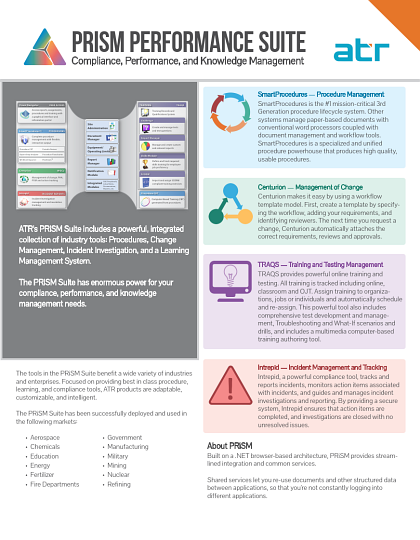 PRiSM – Powerful integrated system for compliance, performance, and knowledge management.